Poly(p-phenylene sulfide) (PPS) is a polymer made up of alternating sulfur atoms and phenylene rings in a para substitution pattern. The highly stable chemical bonds of its molecular structure impart a remarkable degree of molecular stability toward both thermal degradation and chemical reactivity. The molecular structure also readily packs into a very thermally stable crystalline lattice, hence PPS is a semi-crystalline polymer with a high crystalline melting point of about 285°C (545°F). Because of its molecular structure, PPS also tends to char during combustion, making the material inherently flame retardant. PPS has not been found to dissolve in any solvent at temperatures below about 200°C (392°F). Where can I obtain Ryton® PPS stock shapes for machining some prototype parts? Large stock shapes made from Ryton® PPS injection molding compounds are not available because the injection molding compounds are not suitable for producing thick forms. Some specialty compression molding and/or extrusion processors supply PPS rod, sheet, and tube stock, but it is important to understand that parts machined from compression molded PPS rods, sheets, or hollow forms will not necessarily perform the same as parts injection molded from Ryton® PPS injection molding compounds. PPS stands for Polyphenylene Sulfide. Does "Linear PPS" make a superior injection molding compound? We use uncured linear PPS as well as cured PPS in our various Ryton® PPS products, depending on the desired properties of the product. For the most part, we prefer to use cured PPS polymers for injection molding compounds because they provide more of the benefits generally desired from PPS compounds. PPS curing is a process of heating the PPS polymer in air to increase its molecular weight through thermal-oxidative chain extension and cross-linking reactions. 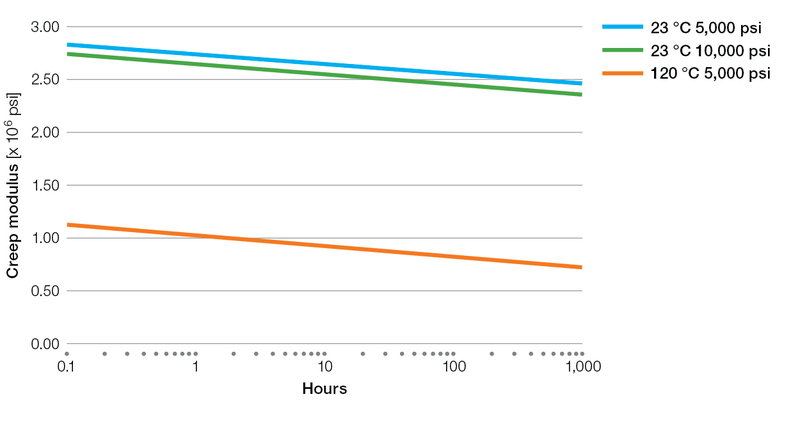 Uncured linear PPS will typically have more ductility than cured PPS of similar molecular weight, however cured PPS exhibits better dimensional stability and creep resistance. Furthermore, since any uncured linear PPS polymer will undergo curing when heated in air, cured PPS tends to exhibit less pronounced changes due to thermal aging. Certain compounds made using cured PPS will provide mechanical properties comparable to any compounds based exclusively on uncured linear PPS. We refer to branched PPS as PPS polymer produced with a branched backbone structure in the polymerization process. Some other PPS producers refer to branched PPS as PPS that has been post polymerization treated by curing. 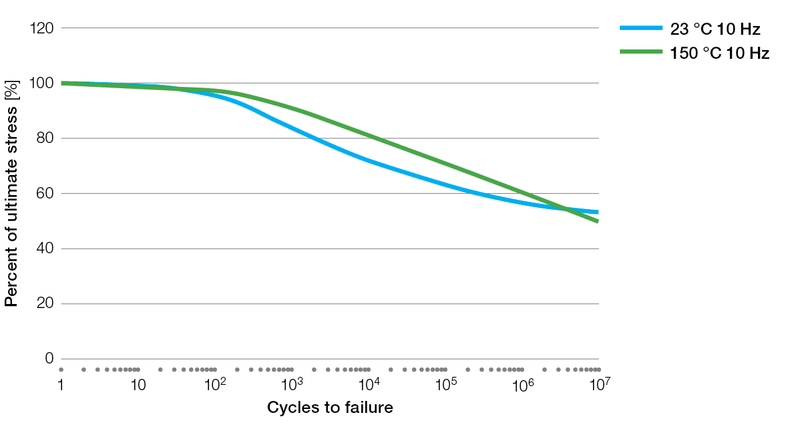 The two resultant structures are different and impart different performance characteristics. We practice both techniques and utilizes whichever type of PPS polymer is best for meeting the desired performance requirements. Which is better – linear PPS or branched PPS? The molecular weight and molecular structure of the PPS polymer affect both processing and finished part characteristics, so you cannot say one is "generally better" than the other. A specific part design and processing technique along with finished part requirements should be defined before statements are made about one polymer type being more appropriate than another for a particular application. What is the color of your material? Most of our products are available in either "natural" or black color, but some are available only in black. The natural colors of 40% glass fiber reinforced grades can range from dark brown to off white, whereas the natural colors of glass fiber and mineral filled grades generally range from tan to off-white. How much color variation can I expect to encounter with natural color Ryton® PPS compounds? Can you tell me if Ryton® PPS is compatible with a certain chemical? Information on the compatibility of Ryton® PPS with a wide variety of chemicals is available in our Chemical Resistance Guide. If you cannot find the information you need, please contact us. Our chemists can provide opinions about the suitability of Ryton® PPS for particular chemical environments, based on our knowledge of the chemistry of PPS and our compounds. However, testing under conditions as similar as possible to actual service conditions is always the best way to determine chemical compatibility for a particular application. Is it possible to pigment Ryton® PPS to make it a different color? The dark brown color of most 40% glass fiber reinforced grades is not amenable to pigmenting any color other than black. Some of the lighter color grades may be pigmented a variety of colors using commercially available color concentrates blended in at the injection molding machine. However, it is important to understand that the parts will not be color stable if exposed to elevated temperatures, UV light, or outdoor conditions. So, pigmenting Ryton® PPS compounds may be useful in some situations for part identification, but is not recommended for cosmetic or decorative purposes. Although Ryton® R-7-120NA PPS and Ryton® R-7-190NA PPS have UL "All Color" listings when used in conjunction with PPS-based color concentrates, the addition of pigments may void the UL certifications of other Ryton® PPS compounds. In general, if color stability and consistency is required, black color Ryton® PPS compounds should be used. Ryton® PPS in the crystalline state provides better performance in the areas for which PPS is usually chosen. 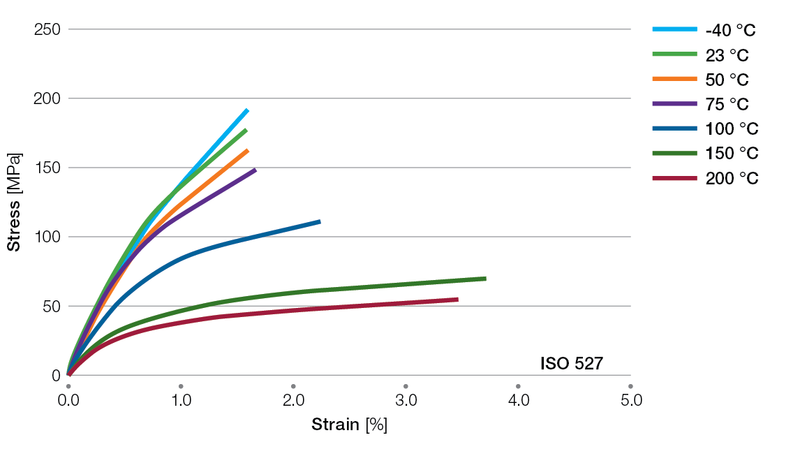 Although amorphous PPS moldings may have somewhat better mechanical strength, crystalline PPS moldings will have higher modulus (stiffness), better creep resistance, and better high temperature dimensional stability. Furthermore, amorphous PPS parts may deform when exposed to temperatures above about 88°C (190°F). 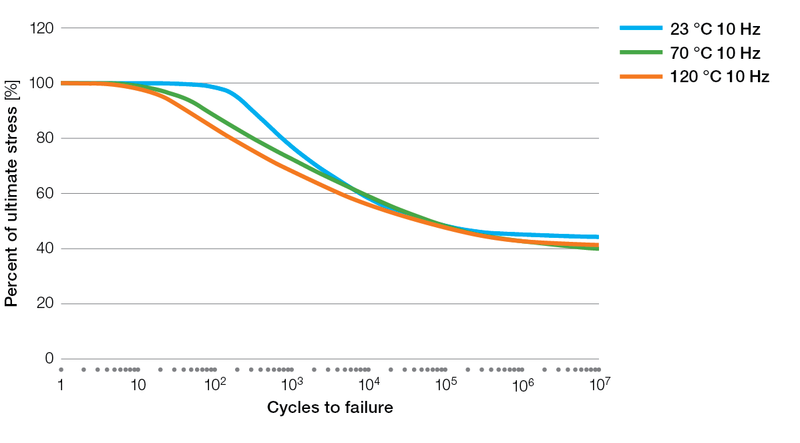 Is there some way to determine whether a Ryton® PPS part is crystalline or amorphous? Yes. The crystalline or amorphous state of the PPS polymer may be determined by Differential Scanning Calorimetry (DSC). Contact our technical specialists for support. Does Ryton® PPS contain any halogenated flame retardants? No. Since polyphenylene sulfide is inherently flame retardant, Ryton® PPS compounds can achieve UL94 V-0 and V-0/5VA flammability ratings without any flame retardant additives. Do you have any "FDA approved" grades of Ryton® PPS? Ryton® PPS injection molding compound R-4-232NA complies with U.S. FDA and European Union (EU 10/2011 and 1183/2012) regulations for use as components of articles intended for repeat use in contact with all types of foods. Additionally, in accordance with U.S. FDA Food Contact Notification (FCN) 1083, all Ryton® PPS production polymers may be used as components in the manufacture of articles for repeat-use food-contact applications, in contact with all types of food, under Conditions of Use A-H, and J, and also meet EU 10/2011 and 1183/2012 requirements. Polyphenylene sulfide resins are also specifically permitted under 21 CFR 177.2490 as coatings or components of coatings of articles intended for repeated food contact use, subject to certain limitations. Several Ryton® PPS injection molding compounds have also been certified to comply with the requirements of various standards for use in contact with potable water. It is the responsibility of the manufacturer of the final article to determine the safety and suitability of Ryton® PPS for such applications. Do any of your Ryton® PPS products contain a fluoropolymer lubricant such as PTFE? Ryton® BR42B PPS contains PPS blended with PTFE (polytetrafluoroethylene) for improved surface lubricity. Is Ryton® PPS suitable for use in applications where it is exposed to ultraviolet (UV) light? 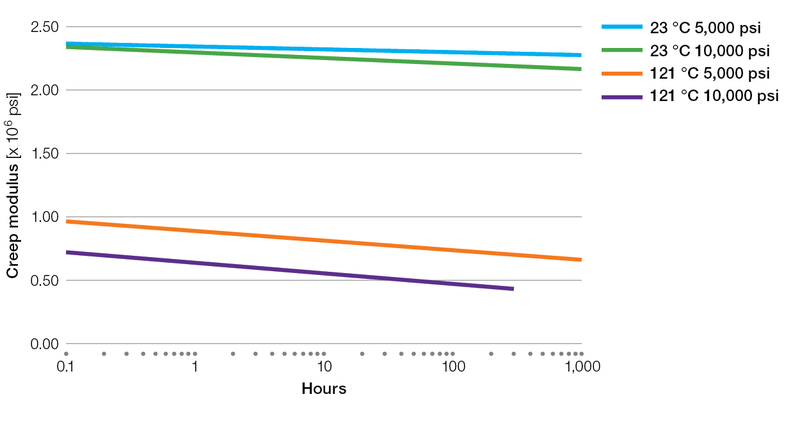 Although exposure of Ryton® PPS to UV light may cause some surface degradation, the properties of the bulk material will be relatively unaffected. Several Ryton® PPS compounds have been rated suitable for outdoor use with respect to UV light exposure, water exposure and water immersion, in accordance with UL746C. Does Ryton® PPS meet the fungus resistance requirements of military specification (MIL-STD-45-4)? Yes, two Ryton® PPS products, R-4 and R-4-02XT, have been evaluated by an independent laboratory (Truesdail Laboratories, Inc.) in accordance to MIL-STD-810D test method 508.3 and found not to allow fungus growth. The study was conducted over the prescribed twenty-eight days with the five fungi required by the test method. Observations were taken every seven days. 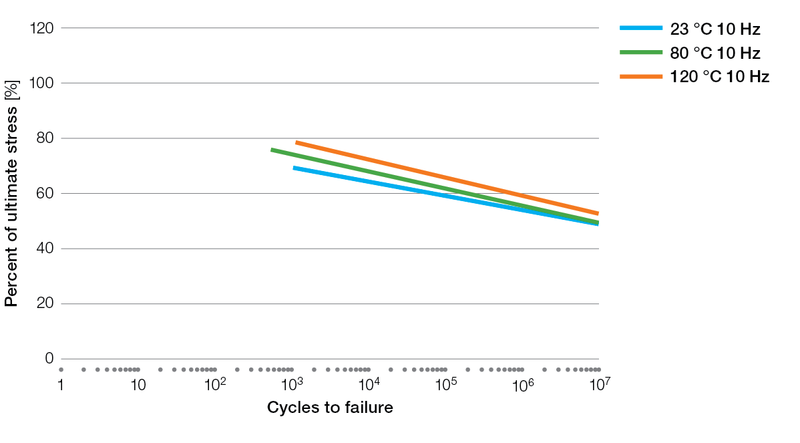 No fungus growth was observed on the Ryton® PPS test specimens. Do you have a chart cross-referencing the different Ryton® PPS compounds with PPS compounds from other manufacturers? We have no literature that cross-references our products with those of other suppliers. If you would like to substitute some other supplier's product with a Ryton® PPS compound, but are unsure which Ryton® PPS compound to use, please contact us. Is it really necessary to use a mold temperature of 275°F (135°C)? We are able to reach temperatures of 200°F to 250°F (93°C to 121°C) using hot water. Is this sufficient? We generally advise using a mold surface temperature of 275°F to 300°F (135°C to 149°C) to achieve a near maximum degree of crystallinity for optimum long-term thermal stability, dimensional stability, and consistent part performance. Consult the Ryton® PPS Processing Guide for more information on this issue. In our injection molding facility, we have several methods to heat our molds: circulating water or oil, and electric cartridges. Do you recommend one of these methods in particular for molding Ryton® PPS? Yes, hot oil should be used to heat and cool molds when molding Ryton® PPS thermoplastic compounds. Remember, we typically advise molding Ryton® PPS in a mold with surface temperatures of 275-300°F (135-149°C). Because this is well above the boiling point of water, using water to heat and cool the mold to 275°F (135°C) results in very high line pressures and a potential safety hazard. On the other hand, the typical line pressure for oil heating/cooling systems is about 30 psig (2.1 bar). Electric cartridges do not offer the temperature control provided by oil systems. Oil systems are capable of both heating and cooling the mold, resulting in more consistent mold temperatures and improved shot-to-shot consistency. Can Ryton® PPS still be used after it has been in a dryer longer than the recommended period of time? 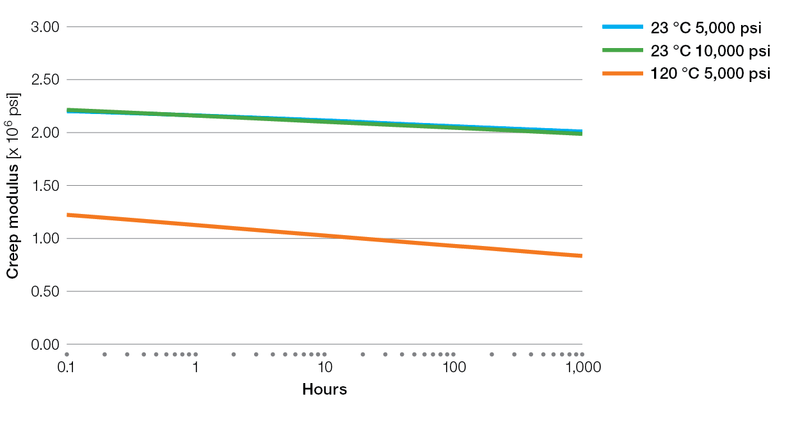 We have conducted tests on drying Ryton® R-4 PPS at 300°F (149°C) and found that the initial melt flow of 28.7 g/10 min varied from a low of 26.0 g/10 min to a high of 30.0 g/10 min, up to 96 hrs. If, however, your drying temperature was too high (400°F, 204°C), the melt flow would decrease from 28.7 g/10 min to 13.9 g/10 min. Therefore, if your dryer is set at 300°F (149°C) or lower, you should have no problem using that material. What is the recommended moisture content level for Ryton® PPS compounds? Although we have no recommended moisture level, Ryton® PPS compounds will be more readily processed if dried thoroughly. Less than 0.02% moisture should be sufficient, and following our standard drying recommendations (300-350°F, 149-177°C for 2 to 3 hours) should accomplish this. Longer drying times are not harmful, but temperatures above 400° F (204°C) may reduce melt flow. The resin itself is not hygroscopic, but some mineral fillers may be, so drying is particularly important for mineral filled compounds. If I need to briefly interrupt production, should I purge the Ryton® PPS from the barrel of my machine? At normal processing temperatures (600-650°F, 315-343°C melt temperature), Ryton® PPS compounds may be allowed to remain in the barrel for up to two hours without suffering any detrimental effects. I need to recover some molded-in inserts from some reject parts. Is there a solvent I can use to dissolve away the PPS? Unfortunately, recovery of molded-in inserts from Ryton® PPS parts is not practical. There is no known solvent for PPS at temperatures below 200°C (392°F), and acids that will degrade the PPS polymer will also likely damage inserts. It is possible to burn away the PPS (with a torch or using a muffle furnace, for example) if the inserts can withstand the temperatures required (over 815°C, 1500°F). If possible, a metal insert may be heated to melt the surrounding PPS (about 316°C, 600°F) to facilitate its removal, but there will still be residual PPS to be removed. Molten PPS can usually be removed using a wire brush or scouring pad. Like chipping or breaking the PPS away from the inserts, these operations generally can not be accomplished without damaging the inserts. Yes. 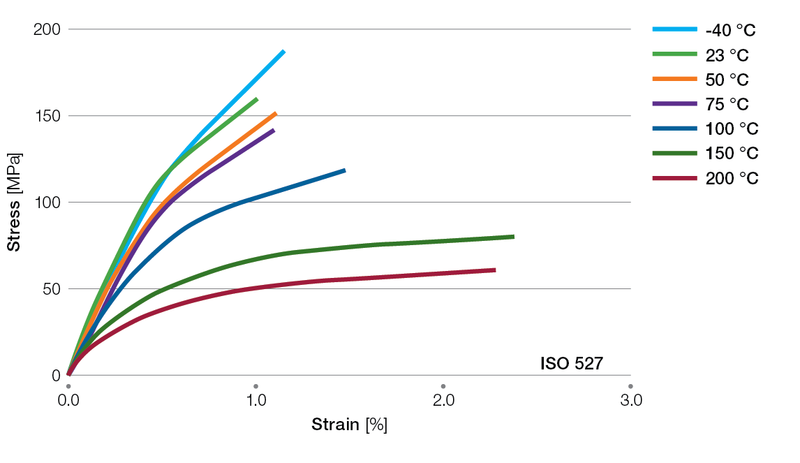 Stress-strain curves and elevated temperature data are available for the most commonly used products. Please contact one of our Technical Service Centers to request the data you need. Yes, the material parameters have been developed for the most commonly used products. This includes PVT data which is needed for warpage analysis. Please contact one of our Technical Service Centers to request the data you need. What types of adhesives are best for bonding Ryton® PPS? Despite the chemically non-reactive nature of PPS, there are adhesives that will bond PPS providing the surface is properly prepared. Acrylic, cyanoacrylate, and two-part epoxy type adhesives have generally been found to work best with PPS, however surface treatments are often required to attain adequate bond strengths. For more information on this topic see our technical bulletin on Adhesives and Paints for Ryton® Polyphenylene Sulfide. We also suggest contacting adhesive manufacturers regarding their latest recommendations for adhesives that are effective at bonding PPS. What is the recommended gap for venting around an ejector pin? Molds for Ryton® PPS compounds may be vented by a 0.0005 inch (0.0125 mm) gap around the radius of the pin (0.001 in, 0.025 mm reduction in diameter). Venting also may be accomplished by flattening pins 0.0007 inches (0.0175 mm) on one to four sides. I'm analyzing a plastic housing that is attached to an aluminum part. I was told that the coefficient of linear thermal expansion (CLTE) for Ryton® PPS was close to that of aluminum. Is that correct? The CLTEs of different Ryton® PPS compounds vary, but in general they are close to that of aluminum in the flow direction. Transverse to flow the CLTEs are higher than aluminum. If large temperature variations are expected, the assembly should be analyzed to determine if problems exist. I was considering PPS for an injection molded part, but I've heard the material doesn't flow very well. Is this true? Absolutely not! In fact, Ryton® PPS compounds have some of the best flow characteristics of all high temperature engineering thermoplastics. They are used extensively in the connector industry, where part thicknesses of 0.50 mm to 0.75 mm (0.020 to 0.030 inch) are commonplace. Ryton® PPS is an ideal choice for automotive parts exposed to high temperatures, automotive fluids, or mechanical stress. Typical applications include under hood components, brake systems, and electrical/electronic devices requiring high heat resistance, high dimensional stability, and corrosion resistance. Ryton® PPS is a lighter weight alternative to metals that is resistant to corrosion by salts and all automotive fluids. The ability to mold complex parts to tight tolerances and insert molding capability accommodate multiple component integration. See how Ryton® PPS can help you meet your fuel economy requirements, system integration goals and cost targets. For more information on automotive material certifications and ASTM callouts, see Industry Certifications. R-4-200BL* Toughness, High strength Weight reduction, hollow components, smooth internal surface, reduced manufacturing cost. R-4-200BL* Toughness, High strength Precision moldability, flame retardancy, good electrical properties, thermoset replacement, thermal shock resistance. R-4-200BL* Toughness, High strength Metal replacement, weight reduction, reduced manufacturing cost. R-4-200BL* Toughness, High strength Improved corrosion resistance, reduced manufacturing cost, weight reduction. BR111BL* Dimensional stability, Creep resistance, Strength Precision moldability, metal replacement, weight reduction, reduced manufacturing cost (no machining, reduced secondary operations). R-4-200BL* Toughness Corrosion resistance, precision mold ability, metal replacement, weight reduction. * Designation is for black color; equivalent grade is available in natural. Ryton® PPS offers superb value for your electrical/electronic applications. It features excellent flow and low shrinkage for precision molding of connectors and sockets, superior stiffness and mechanical integrity for reliable assembly, and is one of the most stable material choices for all SMT soldering methods. Ryton® PPS compounds have UL94 V-0 flammability ratings without the use of flame retardant additives. Special low flash grades have been developed to meet the needs of high precision molding applications. Let Ryton® PPS help you meet the design challenge for reliable, high precision electrical devices and electronic components. Connectors: 3 in 1 combo, AGP, SCSI, PATA, SATA, SAS, hard disc drives, fiber optic, telecom, aerospace, transportation and surface mount. R-4-200NA* High Strength, weld line Stable at IR and lead-free convection soldering temperatures, cost effective, superior pin retention, UL 94 V-0, good flow, low out- gassing, creep resistance and dimensional stability. PLCC, BGA locking arm, PGA, DIMM, burn-in, test fixtures, through hole and surface mount. R-4-200NA* High Strength, weld line Stable at IR and convection soldering temperatures, superior pin retention, cost effective, UL 94 V-0, good flow and superior weld-line strength vs. LCP. High temperature housings, insulating components, wiring devices, and micro-switches. R-4-200NA* High Strength, weld line Excellent high temperature dimensional stability, high modulus, cost effective versus thermosets, good electrical properties, fast cycling, high creep resistance. Transistors, capacitors, sensors. Multi-chip modules, potting cups, power converters, NEMA housing. R-4-200NA* High Strength, weld line Fast cycling, good adhesion, very low moisture absorption, cost effective, UL 94 V-0, high creep resistance, lead free solder stable. Microwave, power control modules, printer heads. R-4-220NA* Hydrolytic stability Good dimensional stability, high stiffness and strength, low moisture absorption. HDD and server, ACA over molds, and bobbins, CD/DVD optical pick-up components, HDTV and projection light engine housings, and ink jet cartridges. R-4-230NA* Low flash, UL/UV F1 High dimensional stability, precision moldability, low out gassing, UL 94 V-0 and 240°C UL RTI, low moisture absorption, good weld line strength and cost effective. * Designation is for natural color; equivalent grade is available in black. The unique combination of properties inherent in Ryton® PPS find utility in a variety of heavy industrial applications, including some outside the arena of reinforced injection molding compounds. The thermal stability and broad chemical resistance of Ryton® PPS make it exceptionally well suited to service in very hostile chemical environments. Besides molded parts, Ryton® PPS polymer finds unique applications in fiber extrusion as well as in non-stick and chemical resistant coatings. We also provide a wide variety of neat PPS polymers as feedstocks for custom compounding and compression molding processes. Consider how Ryton® PPS can meet your demanding performance requirements. Ryton® PPS is the answer for many difficult production, design, and performance considerations. Ease of processing and recyclable scrap allow for part consolidation, more efficient manufacturing, and material savings. Ryton® PPS produces more reliable parts using less material by offering a combination of high temperature stability, excellent mechanical strength and dimensional integrity, along with resistance to corrosion by common solvents, caustic solutions, and dilute acids. Discover how the combination of processability and performance provided by Ryton® PPS can generate a cost savings compared to using metals, thermosets, or other engineering materials. R-4-200NA* Dimensional Stability Low creep, highly reproducible parts, excellent dimensional stability under stress, temperature and chemical exposure, excellent ceramic/metal replacement. R-7-120NA* High UL Ratings UL 94 V-0, good electrical properties, fast cycling, thermoset replacement, excellent weld line strength, low moisture absorption. R-4-200NA* High strength UL 94 V-0 up to 5VA, good electrical properties, excellent processability, high temperature exposure. R-4-200NA* High strength Metal replacement for material cost and weight savings. R-4-200NA* High strength Metal replacement, cost savings, high mechanical strength and dimensional stability during thermal cycling. R-4-200NA* High strength Insert molding, metal replacement, integration of parts, dimensional stability over wide thermal extremes. R-7-120BL BS 6920 certified Dimensional, thermal, and hydrolytic stability, chemical resistance. The chemical resistance of Ryton® PPS is well known to be outstanding, even at elevated temperatures. However, being an organic polymer, PPS can be affected by some chemicals under certain conditions. Over the years, we have accumulated a large database on exposure of Ryton® PPS to a wide variety of chemicals. Although it is not possible to test every chemical, we have seen that chemicals having similar structures and/or properties tend to have similar effects on Ryton® PPS compounds. Therefore, we are able to provide some general advice about the compatibility of Ryton® PPS molding and extrusion compounds with entire classes of chemicals. Chemical resistance properties among the various Ryton® PPS compounds are quite similar with limited exceptions: acids may have greater impact on compounds containing mineral fillers; certain glass-fiber reinforced grades of Ryton® PPS compounds are specially formulated for superior performance hot water. Performance will vary depending on particular chemicals used, particular conditions of service and particular compounds used. 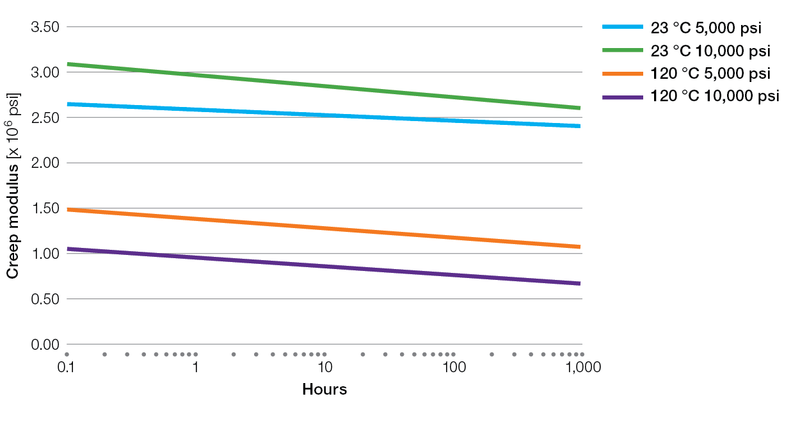 Temperature and duration of exposure are critical factors that must be considered when determining the degree of chemical resistance required for a particular application. If you require further information, our technical experts can provide opinions about the compatibility of Ryton® PPS compounds or Ryton® PPS Alloy compounds with particular chemical environments. An extensive alphabetical list of chemicals with our best general recommendations regarding their compatibility with Ryton® PPS compounds. Most water-based solutions of acids, bases, or neutral salts have no different effect on Ryton® PPS compounds than water alone. The primary exceptions are strong oxidizing acids, such as nitric acid, hydrochloric acid, or peroxy acids (see Oxidizing Chemicals). Relatively non-oxidizing acids, such as sulfuric acid and phosphoric acid, have little effect on PPS except under very severe conditions, such as high concentration and temperature. Strong bases, such as concentrated sodium hydroxide or potassium hydroxide solutions, do not degrade PPS. Acids and bases tend to enhance and accelerate hydrolytic attack of polymer-reinforcement interfaces (see Hot Water), but the ultimate reduction in performance is typically not much worse than what occurs in water alone. We generally do not recommend use of compounds containing mineral fillers in service with strong acids (pH < 2) because of the susceptibility of some mineral fillers to acid digestion. Extensive test data demonstrates that Ryton® PPS compounds, regardless of the filler and/or additives used, are virtually impervious to all common automotive fuels (including alcohol-containing flex fuels), lubricating oils, transmission fluids, brake fluids, and other hydraulic fluids. Although differences in fillers and additives can affect resistance to engine coolants, Ryton® PPS compounds are generally very resistant to glycol-based and silicone containing coolants, even at elevated temperatures. Ryton® R-4-220NA is specially formulated for enhanced resistance to the detrimental effects of water at elevated temperatures (see Hot Water), and therefore tends to retain a greater degree of mechanical strength over long-term exposure to high temperature engine coolants, especially the more aggressive "OAT" and "hybrid" type “long-life” engine coolants. Learn more about Ryton® PPS resistance to automotive fluids. Hot water can have a negative impact on the mechanical properties of glass-fiber reinforced grades. Ryton® PPS polymer is not hydrolyzed by hot water and Ryton® R-4-220NA PPS, Ryton® R-4-220BL PPS and Ryton® R-7-220BL PPS have been specially formulated for enhanced resistance to hot water. For more information, refer to the Resistance of Ryton® PPS to Hot Chlorinated Water technical bulletin. Non-oxidizing organic chemicals generally have little effect on Ryton® PPS compounds, but amines, aromatic compounds, and halogenated compounds may cause some swelling and softening over extended periods of time at elevated temperatures. Ryton® PPS is practically unaffected by many organic chemicals, even under conditions that will dissolve or destroy other plastics, however some classes of organic chemicals can compromise the PPS polymer matrix. Non-aromatic, non-halogenated alcohols, aldehydes, alkanes, alkenes, esters, ethers, and ketones are all generally suitable for service with Ryton® PPS compounds, even at elevated temperatures. Avoid exposure of Ryton® PPS compounds or Ryton® PPS Alloy compounds to these chemicals except at low concentrations or for very brief periods. Listed below are some of the strong oxidizing agents and oxidizing acids known or expected to attack and degrade polyphenylene sulfide. We generally do not recommend using Ryton® PPS in extensive service with these chemicals. However, service in the presence of many of these chemicals under relatively mild conditions may be acceptable. For example, Ryton® PPS can withstand common disinfectant solutions that contain low concentrations of some these chemicals (such as hydrogen peroxide, sodium hypochlorite, or chlorine). Tests and field service experience have also shown that Ryton® PPS can withstand the small quantities of nitric acid and other acids present in flue gases. Ryton® PPS can withstand both gamma and neutron radiation exposure. Ryton® PPS compounds are used in many nuclear installation applications because they can withstand both gamma and neutron radiation. 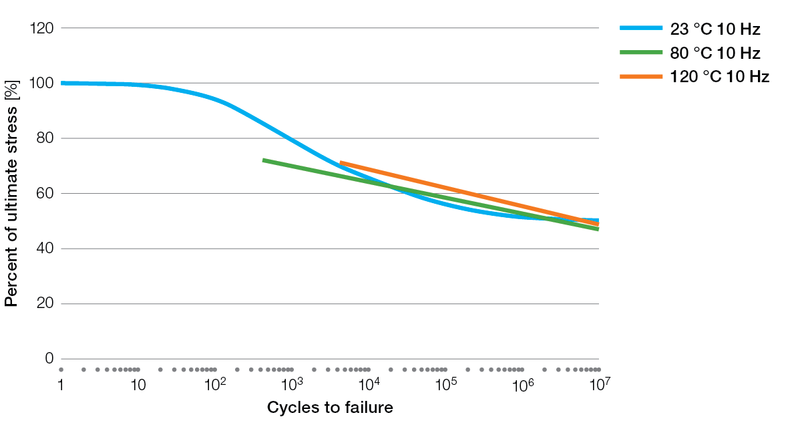 The data tabulated below shows that 40% glass fiber reinforced PPS (Ryton® R-4 PPS) and glass and mineral filled PPS (Ryton® R-10 PPS) compounds exhibited no significant deterioration of mechanical properties after relatively high exposures to gamma and neutron radiation. Other 40% glass fiber reinforced PPS or glass and mineral filled PPS compounds would be expected to show similar resistance to degradation by radiation exposure. Ryton® PPS compounds and Ryton® PPS Alloy compounds are highly resistant to thermal oxidative degradation at elevated temperatures. Ryton® PPS compounds exhibit exceptional resistance to thermal oxidative degradation during long-term exposure to elevated temperatures. Ryton® PPS Alloy compounds also exhibit excellent performance in this regard. 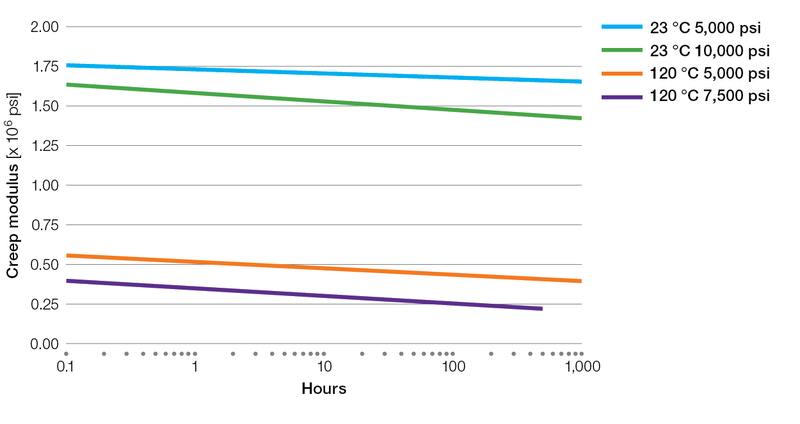 The data tabulated below shows the excellent property retention of Ryton® PPS compounds and Ryton® PPS Alloy compounds after thermal aging in air at various temperatures. In these studies, test specimens were aged in forced draft ovens, and samples were removed periodically and tested for tensile strength, modulus (tensile or flexural) and impact strength (unnotched izod or unnotched charpy impact). Under its Component Recognition Program, Underwriters Laboratories (UL) also maintains documentation of studies of the long-term thermal endurance of Ryton® PPS compounds, and UL has established relative thermal indices (RTIs) of 200°C to 240°C (392°F to 464°F) for almost all Ryton® PPS compounds (see UL Yellow Card Listings). Although exposure to UV light and weathering may cause some surface degradation and erosion, the mechanical properties of Ryton® PPS will be relatively unaffected. Although exposure of Ryton® PPS to UV light may cause some surface degradation and erosion, the properties of the bulk material generally are relatively unaffected by such exposure. In the study summarized below, Ryton® R-4 PPS (which has no UV inhibitor) and Ryton® R-4 PPS with 2% carbon black as UV inhibitor were subjected to aging in an Atlas Weatherometer and suffered minimal property loss. Many Ryton® PPS compounds have been rated suitable for outdoor use with respect to UV light exposure, water exposure and water immersion in accordance with UL746C (see UL Yellow Card Listings). However, since some discoloration and attrition of surface material may occur over time with UV exposure and weathering, part surface finish should not be expected to remain unchanged over the long term. These design guidelines are intended to help designers maximize the versatility of Ryton® PPS engineering thermoplastics in their products. Our suggestions regarding these common part and mold design issues are based on the results of direct experimentation and our Technical Service staff's experiences in helping customers. For more complete and detailed information, contact our technical specialists. 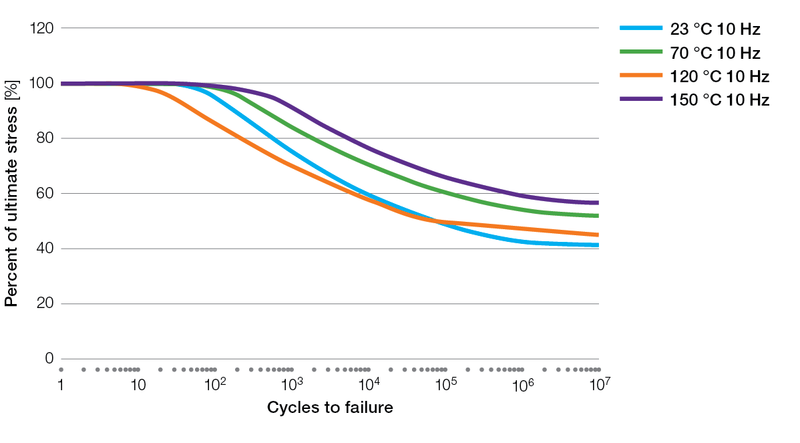 Since material cost and cycle time are directly related to wall thickness, optimum part design balances minimum wall thickness versus sufficient strength. However, wall sections must be thick enough for the material to fill the mold under typical processing conditions. The maximum material flow that may be expected at various wall thicknesses under typical processing conditions is tabulated below. Many Ryton®PPS parts have walls as thin as 0.015 to 0.020 inch (0.38 to 0.51 mm), however no more than 2 inches (5 cm) of flow can be expected when filling such thin sections. To avoid the formation of sinks, internal voids, and internal stress cracking in Ryton® PPS parts, we generally advise using a maximum wall thickness of not more than 0.375 inch (9.52 mm). Uniform wall thickness throughout the entire part is the single most important design feature that can be incorporated into a part, so thick part sections should be cored to achieve a uniform wall thickness. Uniform wall thickness provides for a more uniform pressure drop, even temperature distribution, constant shear stress, and balanced cooling. 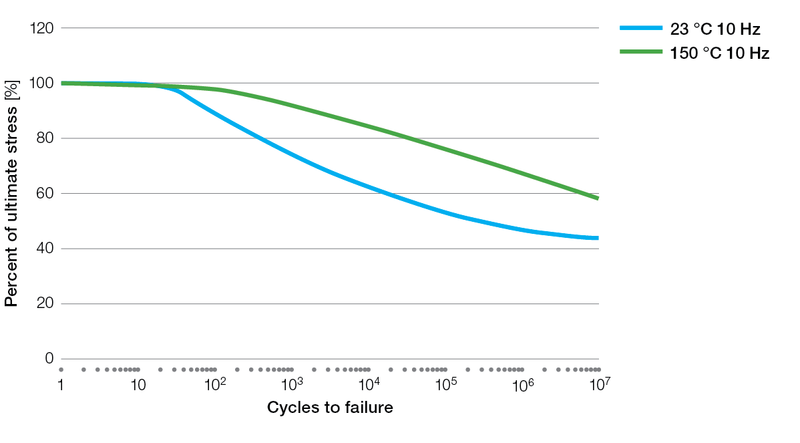 As a result, molded parts will exhibit more uniform shrinkage, which decreases warpage and residual stress. When uniform wall thickness is not possible, the thinnest wall thickness should be no less than 40% of the thickest wall and intersections should have a radius of at least 60% of the thinner wall thickness. Parts should be gated to fill from thicker sections to thinner sections. Being a semi-crystalline thermoplastic, Ryton® PPS is notch sensitive, so sharp corners should be avoided in part designs. Abrupt changes in part geometry, like sharp inside corners, cause amplification of stress in the area of the abrupt change, as well as additional problems such as impeding flow, development of molded-in stress, and formation of voids. To avoid these problems, corners in Ryton® PPS parts should have a radius of 60% of the wall thickness. Ribs and bosses should have a minimum wall thickness of 60% of the thickness of the intersecting wall and the height should be no more than three times the thickness of the intersecting wall. At the base, there should be a radius of 60% of the thickness of the intersecting wall, and 0.5° to 2° of draft should be used. The outer diameter of a hollow boss should be 2.5 to 3.0 times the inner diameter, and the depth of the core should extend to 60% of the thickness of the intersecting wall. The cross section of a typical boss design is shown below. A variety of different gating methods are suitable for molding Ryton® PPS compounds. Common sprue, pin, and tab gates as well as fan, flash, spoke, diaphragm, and submarine gates have all been used for molding Ryton® PPS compounds and Ryton® PPS Alloy compounds. The placement of the gate requires careful consideration since it has substantial ramifications on the strength and dimensional stability of the part. The designer should strive to maintain uniform flow throughout the part filling process and minimize internal stresses and weld lines. Since Ryton® PPS compounds are reinforced with glass fiber, they shrink anisotropically, about half as much in the flow direction as perpendicular to the direction of flow. This differential shrinkage can incur internal stresses that may cause part distortion or contribute to part failure. Differences in part cross section and abrupt changes in flow patterns during mold filling can generate additional internal stresses and/or voids. Gate location should promote steady material flow starting in thicker wall sections and proceeding to thinner wall sections, must avoid back filling, and should ensure that the last places to fill can be vented, preferably at the mold parting line. Filling patterns should be planned to promote glass fiber orientation along axes that experience more stress in service. If the part cannot be molded without weld lines, the weld lines should be placed in the thickest section of the part or in areas where there is minimal stress. Sufficient gate size is essential to ensure easy filling and adequate packing of the part, but it is also important that the gate not be so large that the time required for it to freeze off adversely affects cycle time. It is generally best to plan for the gate to be of minimal size, and then enlarge it later, if necessary. Although the wide variety of possible part geometries makes it impractical to establish criteria for any circumstance, we can provide the following general guidelines for gate sizing. We recommend an absolute minimum gate diameter or thickness of 0.9 to 1.0 mm (0.035 to 0.040 inch) for any part, even very small parts. This is to ensure adequate pack and hold pressure for the part and to prevent excessive shear that may cause overheating of the material and/or degradation of glass fiber length. 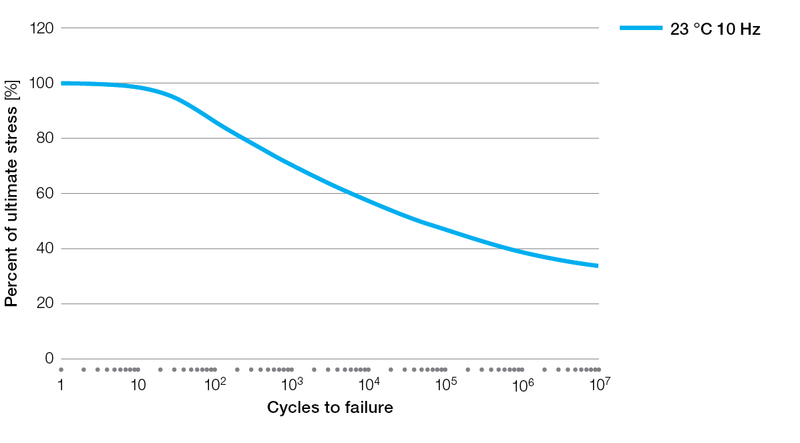 A good guideline for larger parts is for the gate diameter or thickness to be about 60% to 75% of the maximum wall thickness of the part, but the graph shown below depicts the need for increasing the gate diameter or thickness as overall part volume increases. The “Minimum Gate Diameter” for round gates in the chart shown below may also be considered the minimum gate thickness for typical rectangular gates having a width of two times the gate thickness. The orientation of the glass fiber reinforcement affects strength, thermal expansion, and mold shrinkage. There tends to be more alignment of glass fibers parallel to the direction of flow during mold filling, and the mechanical strength of Ryton® PPS compounds and Ryton® PPS Alloy compounds can be up to 50% greater in the flow direction as compared to the transverse direction. Part and mold design should exploit the enhanced strength from glass fiber orientation along axes that will experience more stress in service, while minimizing potential stress transverse to glass fiber alignment. In some cases, it may be necessary to increase wall thickness to compensate for lower strength transverse to glass fiber alignment. Bear in mind that the mechanical strength values reported on technical data sheets are measured in the flow direction. It is also important to note that thermal expansion will typically be at least twice as much along axes transverse to glass fiber alignment as compared to along axes parallel to glass fiber alignment. See Mold Shrinkage and Typical Molding Tolerances for information on how glass fiber alignment affects mold shrinkage. Weld lines are formed during the molding process when the melt flow front divides and then flows back together. Typically, the weld line interface is resin rich because the glass fibers tend not to cross the interface. 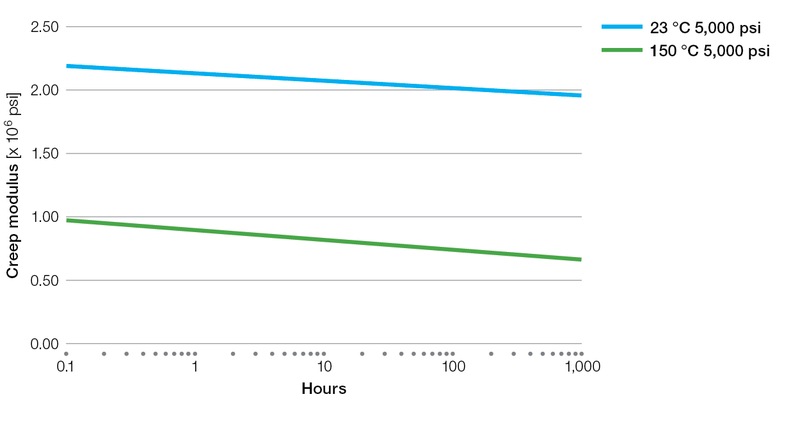 The lack of glass fiber reinforcement across the interface results in lower mechanical strength along the weld line. Gate location and fill patterns should be planned so that weld lines will be eliminated or located in areas of minimal stress whenever possible. 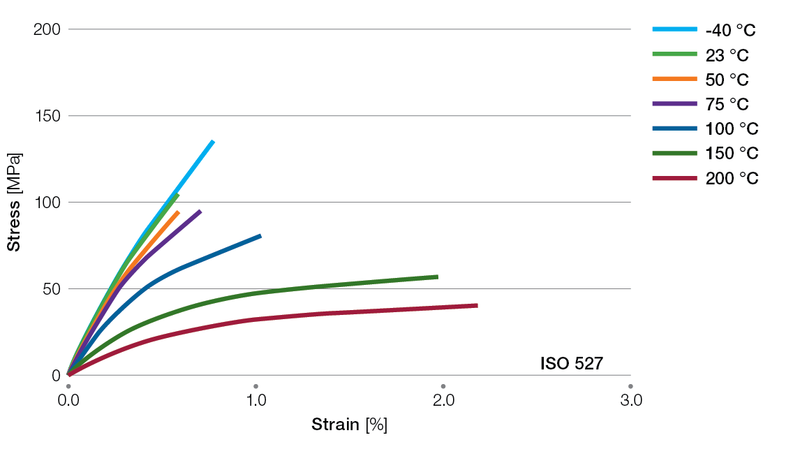 If weld lines must bear stress, the part design should compensate for the typical weld line strengths indicated below. Weld line strength is highly dependent on molding conditions, so the part and tool design should allow for rapid injection, a hot flow front, and thorough packing. Gas entrapment is very detrimental to weld line strength, so molds must be designed to avoid back filling and should be adequately vented in areas where weld lines form. *The nominal properties reported herein are typical of the products but do not reflect normal testing variances and therefore should not be used for specification purposes. Because of the abrasive nature of the glass and mineral fillers used in Ryton® PPS compounds and Ryton® PPS Alloy compounds, hard tool steels are required. For long run production molds, we advise using A-2, D-2, or D-7 tool steels hardened to Rockwell C-60 or higher. 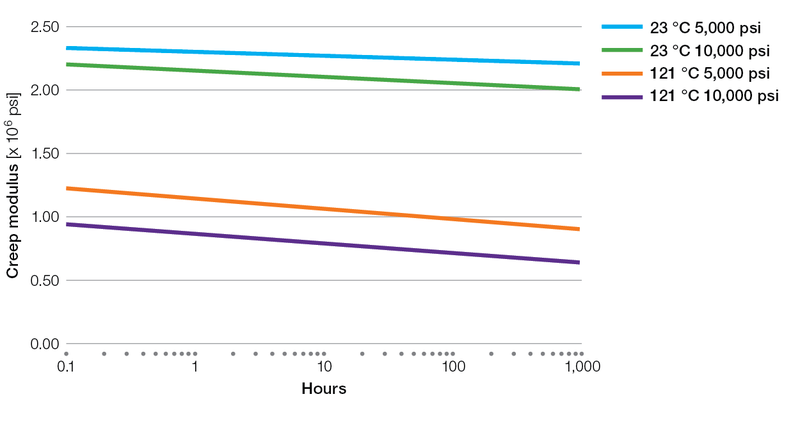 For low volume runs, P20, S7, and H13 are acceptable softer steels. Slow deposition dense chrome and electroless nickel coatings provide good mold release characteristics and fairly long tool life. 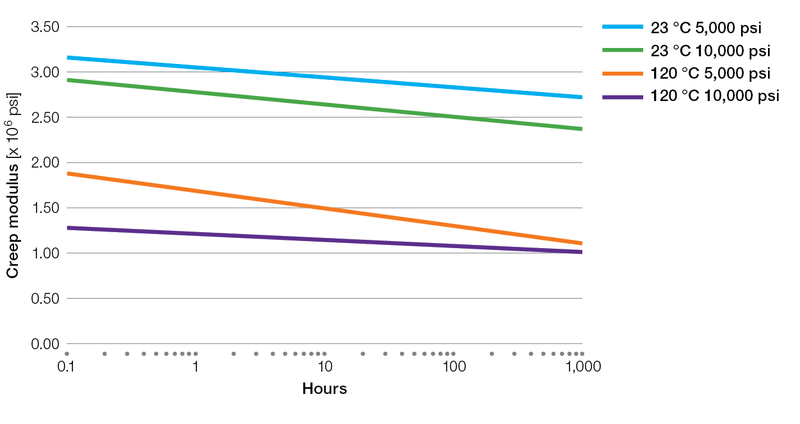 Surface treatments including Borofuse®, LSR-1®, and Nitride® may also be used to reduce tool wear. Steels with a surface finish of 0.0001 mm (4 microinch) or better typically experience extended service life. Because especially high rates of wear are typically encountered at gates, removable (replaceable) gate blocks are often used. For more information, refer to the Abrasion Resistant Steels and Surface Treatments for Extending Tool Life technical bulletin. Molds for processing Ryton® PPS compounds and Ryton® PPS Alloy compounds must be designed to provide a mold surface temperature of at least 135°C (275°F). Various methods such as hot oil, electric cartridges, or high pressure water may be used to accomplish this. We generally advise using hot oil because it allows for addition or removal of heat for better temperature control under relatively low pressure. Molds for processing Ryton® PPS compounds and Ryton® PPS Alloy compounds generally use standard sprue designs with nominal 2° of draft and reverse taper or Z-cut sprue puller systems. The shaft should be as short and highly polished as possible to ease part removal from the stationary half of the mold. Runners of many types can be used, however, full round and trapezoidal runners are preferred and runner length should be kept to a minimum. Multi-cavity molds should have balanced runner systems designed so that the mold cavities fill uniformly and in a balanced fashion. On multi-cavity molds with primary and secondary runners, the primary runner should carry on beyond the intersection with the secondary runner in order to provide a cold slug well for the runner flow front. As with engineering plastics in general, it is good practice not to use family mold layouts because difficulty in controlling filling patterns may produce parts with varying physical and mechanical properties. Proper venting is essential for processing Ryton® PPS compounds and Ryton® PPS Alloy compounds because inadequate venting results in hard to fill parts as well as burning of the part and accelerated mold wear in the areas where gas is trapped. Venting can be accomplished with 0.008 to 0.013 mm (0.0003 to 0.0005 inch) deep by 6.35 mm (0.250 inch) wide channels cut on the parting line. Venting can also be accomplished by flattening ejector pins 0.018 mm (0.0007 inch) on one to four sides. Polishing vents to an A-1 finish in the direction of flow will help prevent buildup of residues during long part runs. Stationary vent pins are typically not used because they can become clogged over long part runs. Vacuum venting has been used successfully in areas where a blind pocket exists. The vacuum is turned on after the mold closes and prior to the start of the injection cycle. Runners should be vented with 0.025 mm (0.001 inch) deep channels cut on the parting line. Mold shrinkage of Ryton® PPS compounds and Ryton® PPS Alloy compounds is affected by many factors including the type of compound, part weight and thickness, glass fiber orientation, and coring. Glass fiber reinforced Ryton® PPS compounds and Ryton® PPS Alloy compounds will shrink anisotropically due to glass fiber alignment. For most parts having a wall thickness of 0.20 inch (5.1 mm) or less, mold shrinkage in the flow direction will typically be about 0.003 in/in for 40% glass filled PPS compounds and about 0.002 in/in for 65% glass and mineral filled PPS compounds. But, mold shrinkage will typically be about twice as much transverse to the direction of flow. Consult individual technical data sheets for mold shrinkage measurements determined on 4 inch by 4 inch by 0.125 inch (102 mm X 102 mm X 3.2 mm) plaques. The shrinkage factors provided in our technical data sheets should provide a good indication of the shrinkage behavior for most parts having a wall thickness of 0.20 inch (5.1 mm) or less. But larger, thicker walled parts will tend to shrink more, and differential shrinkage may vary depending on part geometry and coring. For any given part, less mold shrinkage is observed with increasing part weight (less shrinkage with better part packing). Thicker wall sections generally exhibit higher shrinkage (up to an additional 0.001 in/in) than thinner ones since they hold heat longer. Lengthy thin wall sections tend to generate more glass fiber alignment resulting in greater differential shrinkage. Parts restrained during molding by coring will exhibit lower shrinkage than unrestrained parts. Mold shrinkage also increases somewhat with increasing mold temperature due to increased crystallization. Cold molded parts will exhibit slightly less shrinkage than hot molded parts due to the lower degree of crystallinity. When heated above 190°F (88°C) after molding, cold molded parts will undergo thermal induced crystallization and additional shrinkage will occur. Conversely, hot molded parts that already have a high degree of crystallinity will undergo very little additional shrinkage when exposed to temperatures above 400°F (204°C). Due to the low mold shrinkage of Ryton® PPS compounds, part-to-part dimensional molding tolerances are very reproducible, once shrinkage behavior under typical processing conditions has been established. Molding tolerances as tight as 0.0001 in/in may be achieved in optimally gated small parts, but molding tolerances are typically about 0.001 in/in, and may be as high as 0.002 in/in in some large parts. New molds should be cut “steel safe” to allow for later adjustments for differential shrinkage. Detailed engineering properties are available for commonly used Ryton® PPS compounds and Ryton® PPS Alloy compounds. These feature industry standard test methods and typical end-use operating conditions. If you are unable to locate data for the test method or product required, please contact our technical experts for further assistance. The dynamic coefficient of friction and wear rate of Ryton® PPS compounds has been determined using a Thrust Washer machine according to ASTM D 3702. In this test, a specimen having a ring-shaped test surface is rotated against a stationary steel washer at a specified speed and under a specified weight for a specified period of time, and the reduction in thickness of the test specimen is then measured. The dynamic coefficient of friction may also be determined from the torque on the rotating specimen during the test. These tests were performed dry, at 36 rpm (velocity 10 ft/min, 3.05 m/min), under a 50 pound (22.7 kg) test load (250 psi, 1.72 MPa). The abrasion resistance of Ryton® PPS compounds has been determined using the Taber abrasion apparatus according to ASTM D 1044. In this test, a flat plaque test specimen is mounted on a turntable in contact with a weighted abrasive wheel, and after a selected number of revolutions of the wheel at constant speed, the weight loss of the specimen is determined. The coefficient of friction of 40% glass fiber reinforced PPS (Ryton® R-4 PPS) was determined using the Alpha Molykote LFW-1 friction and wear test machine. The flat block test specimens were run against a steel ring at selected speeds under a 15 pound (6.8 kg) load. There appeared to be little difference in the static and dynamic coefficient of friction. THE NOMINAL PROPERTIES REPORTED HEREIN ARE TYPICAL OF THE PRODUCTS BUT DO NOT REFLECT NORMAL TESTING VARIANCES AND THEREFORE SHOULD NOT BE USED FOR SPECIFICATION PURPOSES. Polyphenylene sulfide (PPS) resin is essentially nontoxic by ingestion. In acute skin and eye irritancy evaluations, PPS produces only the minimal degree of irritation which can be perceived. It appears that PPS dust is inert and presents no hazard to health from long-term inhalation exposure. It should be treated as a typical "nuisance-type" dust. Off-gases produced during melt processing of PPS can be irritants to mucous membranes, therefore adequate ventilation of the processing area is recommended when melt processing PPS compounds. For information on Ryton® PPS compliance with environmental and restricted substance regulations, refer to the Ryton® PPS Regulatory Information. For Underwriters Laboratory (UL) Certifications, visit our UL Database. For further information and to receive Safety Data Sheets (SDS), contact our technical specialists. Although it can be ignited, polyphenylene sulfide (PPS) will neither sustain prolonged combustion nor support significant flame propagation when tested by any of the standard tests commonly used for plastics. Unfortunately, no lab test can be expected to encompass all of the variables of an uncontrolled fire, such as a building or equipment fire, even if one fire scenario could be selected as "typical." In various tests using heat, flame and electrical ignition sources, PPS will burn if the ignition source is hot enough, and will continue to burn until the ignition source is removed. As PPS burns, it chars and may bubble somewhat, which can reduce heat transfer to the remaining material. In general, PPS compounds do not drip as they burn, but thin sections of the higher flow compounds can soften or melt enough to deform during combustion and may drip if the ignition source is hot enough. The "flame-retardance" of Ryton® PPS compounds is inherent to the stable chemistry of the PPS polymer itself, and does not rely on flame-retardant additives which can compromise the electrical and mechanical performance of compounds. Normal combustion of PPS will generate carbon dioxide, water vapor, sulfur oxides and may produce carbon monoxide, carbonyl sulfide and various hydrocarbons and hydrocarbon oxidation products (such as ketones, aldehydes and organic acids) depending on temperature and air availability. Incomplete combustion can also produce formaldehyde. Trace amounts of hydrogen chloride and nitrogen oxide gases may also be generated. Although lab tests cannot predict burning behavior in a real fire, they are presented here for comparison with other materials. 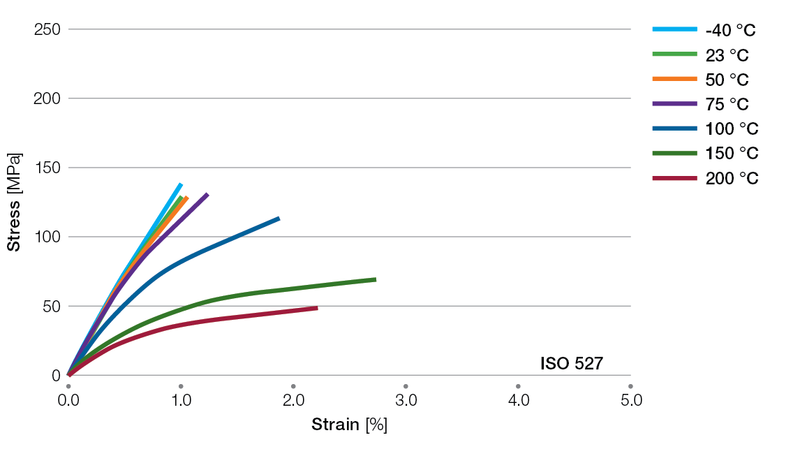 Test results for representative 40% glass fiber reinforced PPS (Ryton® R-4 PPS) and 65% glass/mineral filled PPS (Ryton® R-10 7006A PPS) compounds are provided. See our Product Data Sheets and information on Fire Safety Standards and UL Yellow Card Listings for performance of Ryton® PPS compounds in additional tests. This test was performed by Underwriters Laboratories. It consists of placing some plastic chips or shavings into a glass flask that is submerged in a bath of molten alloy. The ignition chamber is purged and air added to assist ignition of the sample. If the test sample does not flame or glow, the flask is purged of residual gases, vapors and tested material. The temperature is raised and new sample added to the flask. This procedure is repeated until a minimum temperature is reached that induces the test material to glow or burn. That minimum combustion temperature is reported as the ignition temperature. The flash point was determined by conventional procedures as described in ASTM D 1929 or ISO 871. The radiant panel burn test measures the surface flammability of materials when exposed to a radiant heat source. A 6 inch by 18 inch (15.2 cm by 45.7 cm) specimen is mounted with its long dimension inclined 30° off the vertical. The specimen is parallel to, but 4.75 inches (12 cm) away from, a radiant panel heat source maintained at 1238 ± 72°F (670 ± 22°C). A pilot burner ignites the top of the specimen, and the heat evolved by the specimen and its rate of burning are used to calculate a flame spread index, useful for comparing various materials. This smoke test developed by the National Bureau of Standards employs a completely closed cabinet, measuring 36 inches by 36 inches by 24 inches (91 cm x 91 cm x 61 cm). A three inch (76 mm) square specimen is supported in a frame such that a surface area of 2.56 in² (16.5 cm²) is exposed to heat under either flaming or non-flaming (smoldering) conditions. The heat source is a circular foil radiometer adjusted to give a heat flux of 2.5 W/cm² at the specimen surface. The smoke density is measured photometrically in terms of light absorption. The photometer path is vertical to minimize measurement differences due to smoke stratification which could occur with a horizontal photometer path at some fixed height. The full 36 inch (91 cm) height of the chamber is used to provide an overall average for the entire chamber. Smoke measurements are expressed in terms of specific optical density, which represents the optical density measured over unit path length within a chamber of unit volume, produced from a specimen of unit surface area. Since this value is dimensionless, it provides the advantage of presenting the smoke density measurement independent of chamber volume, specimen size or photometer path length, provided a consistent dimensional system is used. The time to reach a critical smoke density, also called obscuration time, is a measure of the time available before a "typical" occupant in a "typical" room would find vision so obscured by smoke as to hinder escape. The value of specific optical density describing this critical level is 16, based on 16% light transmittance under certain specific conditions of room dimensions. This U.S. Federal Motor Vehicle Safety Standard (FMVSS) specifies burn resistance requirements for materials used in the occupant compartments of motor vehicles. A test specimen 14 inches (35.6 cm) long by 4.0 inches (10.2 cm) wide and up to 0.5 inches (1.3 cm) in thickness is mounted between two U-shaped steel brackets exposing an area 11 inches (27.9 cm) long by 2.0 inches (5.1 cm) wide, with an exposed edge at one end. The mounted specimen is placed horizontally and flatwise in a burning chamber, the exposed edge is ignited using a gas burner, and timing is started when the flame front progresses to a point 1.5 inches (3.8 cm) from the ignited edge of the specimen. A burn rate is determined by the time required for the flame front to progress to a point 9.5 inches (24.1 cm) from the ignited edge of the specimen, or the distance the flame front progresses within five minutes, or the time required and the distance the flame front progresses before the specimen self-extinguishes, whichever occurs first. The standard requires that the burn rate be no more than 4.0 inches/minute (10.2 cm/minute). When Ryton® PPS compounds are tested according to this standard at thicknesses of 0.063 inches (1.6 mm) or thicker, the specimens will typically self-extinguish within five seconds, and before the flame front even progresses to a point 1.5 inches (3.8 cm) from the ignited edge of the specimen. Thus, Ryton® PPS compounds will self-extinguish before the timing to determine the burn rate is even initiated according to the test procedure. The Steiner Tunnel test is intended to compare the flame spread and smoke generation behavior of various building materials when burning within a rectangular duct with air flowing through it. A specimen 24 ± 1.5 feet (7.3 ± 0.46 m) long by 22 ± 2 inches (56 ± 5 cm) wide and up to 4 inches (10 cm) thick is positioned along the top of a chamber measuring 25 ± 0.25 feet (7.62 ± 0.076 m) long by 17.75 ± 0.25 inches (45.1 ± 0.6 cm) wide by 12.0 ± 0.5 inches (30.5 ± 1.3 cm) in height. One end of the specimen is ignited by a gas burner in the presence of a controlled air flow through the chamber towards the opposite end of the specimen. The rate of progression of the flame front along the specimen is measured, and the smoke density is measured photometrically in a vent pipe at the exhaust end of the chamber. The recorded measurements are compared with the behavior of cement board and red oak wood to calculate a Flame Spread Index (FSI) and a Smoke Developed Index (SDI). In this test, unfilled PPS gave an FSI of 5 and an SDI of 155, giving it “Classification A” according to the 2003 International Building Code® (Chapter 8 Interior Finishes, Section 803 Wall and Ceiling Finishes) and NFPA 5000 (Chapter 10 Interior Finish, Section 10.3 Interior Wall or Ceiling Finish Testing and Classification). Ryton® PPS compounds are inherently flame resistant. All Ryton® PPS compounds have UL 94 V-0 and many have UL 94 5VA non-flammability ratings without using flame retardant additives. The limiting oxygen index, another good method of comparing the flammability of various materials, is the minimum percentage of oxygen in a test atmosphere that allows the plastic to support continued combustion. The limiting oxygen index of Ryton® PPS compounds is about 50%, making them among the most flame resistant plastics. 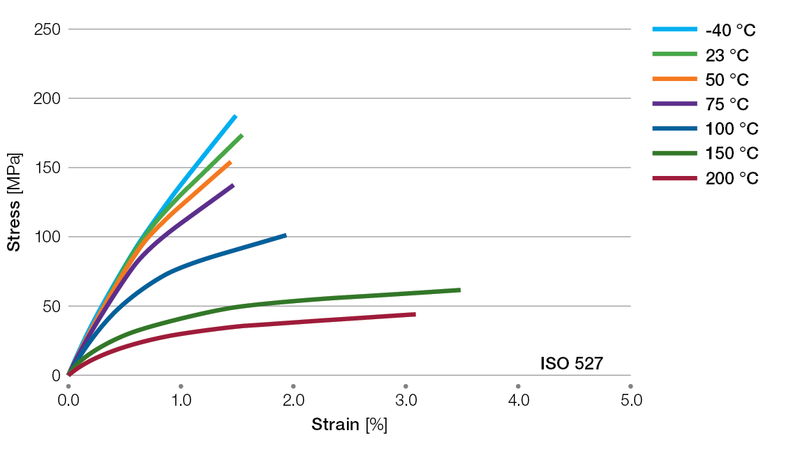 When comparing flammability ratings of engineering plastics, it is important to note that many require flame retardant additives to be classified UL 94 V-0. Flame retardant additives tend to be detrimental to the mechanical and electrical properties of a plastic. Most common flame retardant additives break down after a single pass through an injection molding machine, so parts molded using regrind will not be as flame retardant as parts molded from virgin material. Furthermore, the thermal degradation of flame retardant additives can produce toxic, corrosive off gasses. Since Ryton® PPS compounds require no flame retardant additives, regrind is as flame resistant as virgin material and the other undesirable effects of using flame retardant additives are also avoided. Parts molded from Ryton® PPS compounds typically exhibit no detectable off-gassing at temperatures below 50°C (122°F). Parts molded from Ryton® PPS Alloy compounds may have a mild odor. The off-gasses from Ryton® PPS compounds and Ryton® PPS Alloy compounds at elevated temperatures typically consist of mostly water vapor and small amounts of carbon oxides and sulfides (such as carbon dioxide, carbon disulfide, carbon monoxide and carbonyl sulfide) and sulfur dioxide. The off-gasses will also include trace amounts of various low molecular weight (one to five carbon) aliphatic hydrocarbons and hydrocarbon oxidation products such as aldehydes, ketones, and carboxylic acids, as well as trace amounts of low molecular weight aromatic hydrocarbons, including some chlorine-containing and sulfur-containing aromatic hydrocarbon substances. The mixture of trace substances in the off-gasses is highly variable and dependent upon the temperature. Some of the off-gasses may be irritants to the eyes and respiratory tracts, therefore adequate ventilation of the processing area is recommended when melt processing Ryton® PPS compounds and Ryton® PPS Alloy compounds. Ryton® PPS compounds have successfully passed the NASA Outgassing Test, carried out in accordance with ASTM E 595. The test is conducted at 125°C (257°F) under a vacuum of less than 5 x 10-5 mm Hg over a period of 24 hours. The two values reported are the percent Total Mass Loss (% TML), which is the percent of total weight loss of material that volatilizes from the sample, and the percent Collected Volatile Condensable Material (% CVCM), which is the weight percent of material that volatilizes from the sample and then condenses at 25°C (77°F). The NASA outgassing requirement is a maximum of 1.0% TML and a maximum of 0.1% CVCM. All Ryton® PPS compounds tested have easily met the NASA specifications. Certain Ryton® PPS compounds and Ryton® PPS Alloy compounds can meet the requirements of various industry standards and regulations regarding use in applications requiring contact with potable water and food, as well as potential use for medical devices not requiring implantation. A summary is provided below. Please contact your nearest technical service center for further information. For use with all types of food under Conditions of Use A through H and J. Underwriters Laboratory (UL) Yellow Card certificates are available on our UL Database. The ASTM D4067 Standard is a material call out system especially for polyphenylene sulfide (PPS) injection molding and extrusion materials. These material call outs are codes that may be used on part drawings or in other specifications to specify the use of PPS compounds having certain characteristics, without referring to any particular manufacturers or products. The ASTM D4067 material call outs listed here for our Ryton® PPS compounds represent the minimum performance characteristics of each particular product. An explanation of the meaning of these material call outs and how to determine whether a particular Ryton® PPS compound satisfies the call out given on a drawing (or other specification) is given below. The first six or seven characters of the material call out, "PPS000" or "PPS0000," specify that the molding or extrusion compound must be PPS-based. The next character specifies the types of fillers and/or reinforcements used in the compound, and the following two characters specify the weight percent of reinforcements and/or fillers used in the compound. The next six characters in the material call out specify certain minimum physical property characteristics of the compound. The significance of each character and the requirements for a Ryton® PPS compound to satisfy a call out given on a drawing (or other specification) are explained below using the example callout "PPS0000G40A53343." PPS0000 The molding or extrusion compound must be PPS-based. This is the generic PPS family designation. Currently, the call outs for all PPS compounds start with "PPS0000," but older call outs may start with "PPS000." "R" for mixtures of fillers and reinforcements The letter in the call out of the Ryton® PPS compound must match the letter in the call out on the drawing or specification. ± 2 wt. % for carbon or graphite fiber "C"
± 2 wt. % for < 15% glass fiber "G"
± 3 wt. % for > 15% glass fiber "G"
± 2 wt. % for mineral fillers "M"
± 3 wt. % for mixtures of fillers "R"
(Tolerance ranges for lubricant content must be established by agreement between the supplier and the user.) The filler content given in the call out of the Ryton® PPS compound must be within the specified tolerance range of the filler content given in the call out on the drawing or specification. A References Physical Properties Requirements Table A in the ASTM D4067 Standard. All ASTM D4067 call outs should have the character "A" at the beginning of this extension. 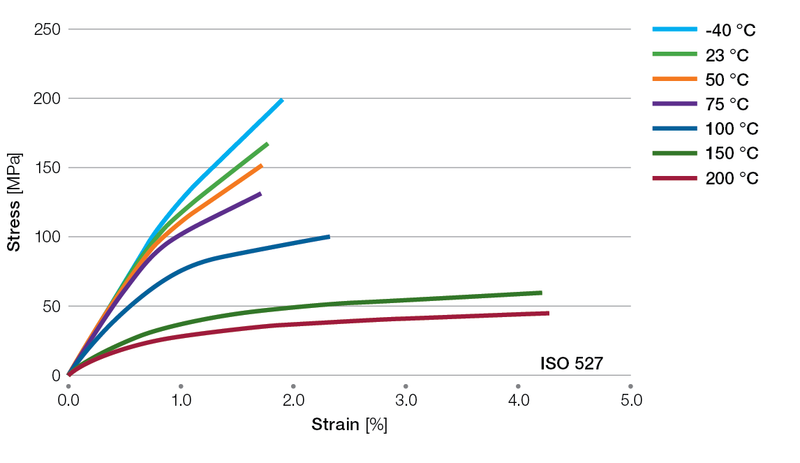 5 Minimum Tensile Strength requirement according to performance levels defined in Table A in the ASTM D4067 Standard The number in the call out of the Ryton® PPS compound must be greater than or equal to the number given in the callout on the drawing or specification. 3 Minimum Flexural Modulus requirement according to performance levels defined in Table A in the ASTM D4067 Standard. The number in the callout of the Ryton® PPS compound must be greater than or equal to the number given in the call out on the drawing or specification. 3 Minimum Notched Izod Impact Strength requirement according to performance levels defined in Table A in the ASTM D4067 Standard. The number in the call out of the Ryton® PPS compound must be greater than or equal to the number given in the call out on the drawing or specification. 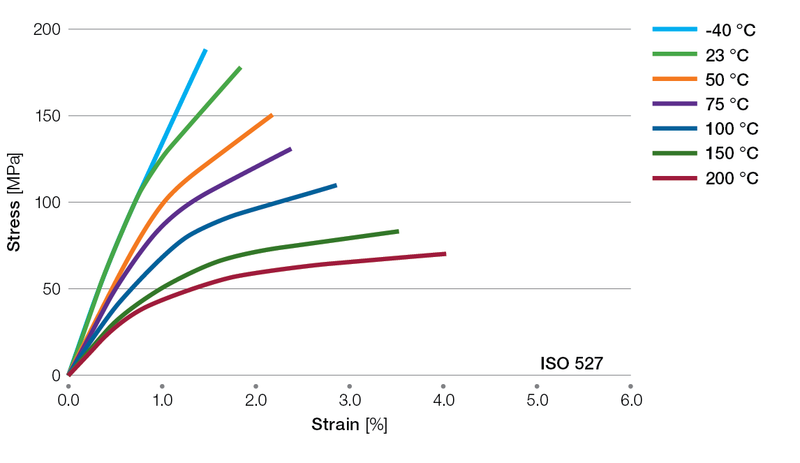 4 Minimum Flexural Strength requirement according to performance levels defined in Table A in the ASTM D4067 Standard. The number in the call out of the Ryton® PPS compound must be greater than or equal to the number given in the call out on the drawing or specification. 3 Minimum Density requirement according to performance levels defined in Table A in the ASTM D4067 Standard. The number in the call out of the Ryton® PPS compound must be greater than or equal to the number given in the call out on the drawing or specification. Occasionally, material call outs will have further extensions or other unique notations to indicate special property requirements. Please contact our Quality Assurance representatives or Technical Service staffs regarding selection of Ryton® PPS compounds to meet these additional performance requirements.So, for example, Ryton® R-4-230NA PPS would satisfy the callouts "PPS0000G40A53343" or "PPS0000G40A43233." But Ryton® R-4-230NA PPS would not satisfy the call outs "PPS0000G45A53343" (wrong filler content) or "PPS0000R60A43233" (wrong filler type and content) or "PPS0000G40A63463" (may have insufficient tensile strength or flexural strength). Ryton® R-4-200NA PPS or Ryton® R-4-200BL PPS would satisfy the callout "PPS0000G40A63463." The ASTM D6358 Standard is a material call out system especially for polyphenylene sulfide (PPS) injection molding and extrusion materials. These material call outs are codes that may be used on part drawings or in other specifications to specify the use of PPS compounds having certain characteristics, without referring to any particular manufacturers or products. The ASTM D6358 material call outs listed here for our Ryton® PPS compounds represent the minimum performance characteristics of each particular product. An explanation of the meaning of these material call outs and how to determine whether a particular Ryton® PPS compound satisfies the call out given on a drawing (or other specification) is given below. The first six characters of the material call out specify the PPS compound group and class, and will be followed by the grade designation as defined in ASTM D6358, or a "0" if properties are to be defined by the remainder of the call out. The next character specifies the types of fillers and/or reinforcements used in the PPS compound, and the following two characters specify the weight percent of reinforcements and/or fillers used in the PPS compound. The next six characters in the material call out (if present) specify certain minimum physical property characteristics of the PPS compound. The significance of each character and the requirements for a Ryton® PPS compound to satisfy a call out given on a drawing (or other specification) are explained below using the example call out "PPS0110G40A43353." "000" or "0000" for Other Types The letters in the call out of the Ryton® PPS compound must match the letters in the call out on the drawing or specification. ± 3 wt. % for glass fiber "G"
± 3 wt. % for mineral fillers "M"
A References Physical Properties Requirements Table A in the ASTM D6358 Standard. If there is a letter "A" followed by five numbers, the Ryton® PPS compound must meet the requirements specified by the following five numbers. 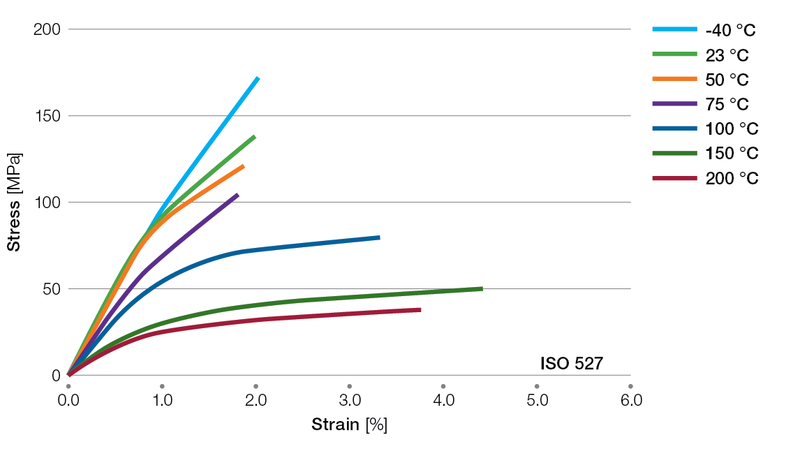 4 Minimum Tensile Strength requirement according to performance levels defined in Table A in the ASTM D6358 Standard The number in the call out of the Ryton® PPS compound must be greater than or equal to the number given in the call out on the drawing or specification. 3 Minimum Flexural Modulus requirement according to performance levels defined in Table A in the ASTM D6358 Standard. The number in the call out of the Ryton® PPS compound must be greater than or equal to the number given in the call out on the drawing or specification. 3 Minimum Notched Izod Impact Strength requirement according to performance levels defined in Table A in the ASTM D6358 Standard. The number in the call out of the Ryton® PPS compound must be greater than or equal to the number given in the call out on the drawing or specification. 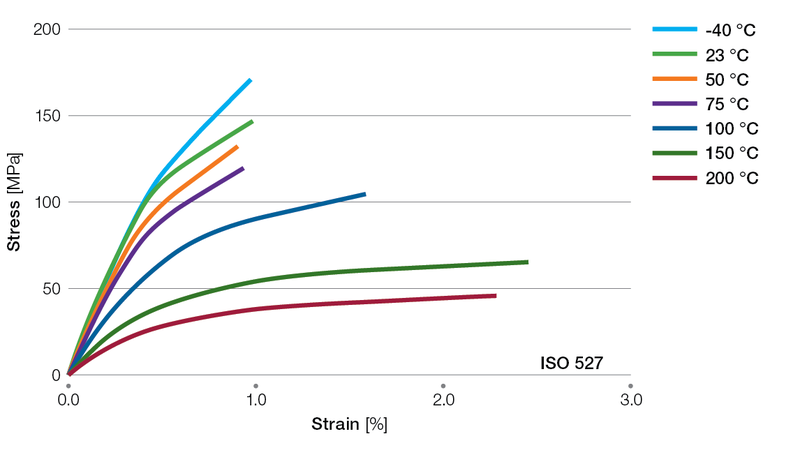 5 Minimum Flexural Strength requirement according to performance levels defined in Table A in the ASTM D6358 Standard. The number in the call out of the Ryton® PPS compound must be greater than or equal to the number given in the callout on the drawing or specification. 3 Minimum Density requirement according to performance levels defined in Table A in the ASTM D6358 Standard. The number in the call out of the Ryton® PPS compound must be greater than or equal to the number given in the callout on the drawing or specification. So, for example, Ryton® R-4-230NA PPS would satisfy the call outs "PPS0110G40A43353" or "PPS0110G40A33243." But Ryton® R-4-230NA PPS would not satisfy the call outs "PPS0110R60A33243" (wrong filler type and content) or "PPS0110G40A63463" (may have insufficient tensile strength or flexural strength). Ryton® R-4-200NA PPS or Ryton® R-4-200BL PPS would satisfy the call out "PPS0110G40A63463." Occasionally, material call outs will have further extensions or other unique notations to indicate special property requirements. Please contact our Quality Assurance representatives or Technical Service staffs regarding selection of Ryton® PPS compounds to meet these additional performance requirements. Certain Ryton® PPS compounds and Ryton® PPS Alloy compounds can meet the requirements of various industry standards and regulations regarding use in applications requiring contact with potable water and food. A summary is provided below. Please contact your nearest technical service center for further information. Contact our technical experts for FDA and EU food contact letters that provide further details on specifications and/or limitations. Military specifications describe and organize the essential technical requirements for materials, services, subsystems and components needed for the Department of Defense (DOD). Though some military specifications parallel consensus standards and comparable federal specifications, many are uniquely military in character and demand high reliability. As a system of standards, military specifications comprise several levels of requirements organized very much like other major standards systems such as ASTM. They call out various test procedures, materials specifications, component requirements and, finally, the performance, certification, marking and other features of end-use products. Materials specifications define certain materials and classify them by the features and properties of available grades. At the next layer of standards, component specifications describe a particular part, subsystem or assembly which may be utilized in several end-use products. PPS compounds are widely used in components manufactured to meet the requirements of certain military specifications. Many military component specifications now allow for the use of PPS materials as defined by either a military materials specification or a specific callout according to the ASTM D4067 standard classification system for PPS materials. For example, connectors manufactured to the requirements of MIL-DTL-55302F may use any PPS materials that will meet the requirements of MIL-M-24519 Type GST-40F or the callout requirements of ASTM D4067-90 PPS000G40A30330E01F01Y11. So even though there are no longer any Ryton® PPS products certified to MIL-M-24519 Type GST-40F, Ryton® PPS products which meet the requirements of the cited ASTM D4067 callout may still be used in connectors which must meet MIL-DTL-55302F requirements. Similar cases are found in other military component specifications. Listed below, are ASTM D4067 callouts for PPS materials that are cited in certain military component specifications, and the Ryton® PPS products that will meet the corresponding ASTM D4067 callout requirements. ASTM D4067 has replaced MIL-P-46174(MR) for specification of PPS materials. Historical MIL-P-46174(MR) class and grade designations for PPS materials are listed below, along with the corresponding ASTM D4067 callouts and Ryton® PPS products that will meet the corresponding ASTM D4067 callout requirements. Certain product "end-of-life" and environmental protection regulations, standards and initiatives require information regarding additives and trace impurities that may be present in Ryton® PPS compounds and Ryton® PPS Alloy compounds. Analyses for trace impurities in Ryton® PPS compounds and Ryton® PPS Alloy compounds are not conducted as part of routine lot certification procedures. The information provided below addresses whether or not certain substances are normally expected to be present in Ryton® PPS compounds and Ryton® PPS Alloy compounds. Ryton® PPS compounds and Ryton® PPS Alloy compounds do not utilize any asbestos-containing additives. Ryton® PPS compounds and Ryton® PPS Alloy compounds do not utilize any azo compounds or suspected carcinogenic amine compounds as additives or in the manufacturing process. The "conflict minerals" substances identified in U.S. H.R. 4173 Section 1502, gold (Au), tantalum (Ta), tin (Sn) and tungsten (W), are not normally expected to be present in Ryton® PPS compounds or Ryton® PPS Alloy compounds at concentrations exceeding 1 ppm. Gold (Au), tantalum (Ta), tin (Sn) and tungsten (W) are not intentionally used in the production of Ryton® PPS compounds or Ryton® PPS Alloy compounds and they may only be present as adventitious trace impurities in the products. Ryton® PPS compounds and Ryton® PPS Alloy compounds do not utilize any dioxins or furans as additives or in the manufacturing process. All Ryton® PPS compounds and Ryton® PPS Alloy compounds comply with the requirements of Article 4.2a of EC Directive 2000/53/EC. All Ryton® PPS compounds and Ryton® PPS Alloy compounds are normally expected to contain less than 100 ppm lead, mercury, cadmium and hexavalent chromium. None of these substances are intentionally introduced as additives in any Ryton® PPS compounds or Ryton® PPS Alloy compounds, and these substances may only be present as adventitious trace impurities in the products. The substances mentioned in Annex II of EC Directive 2002/96/EC are not normally expected to be present in any Ryton® PPS compounds or Ryton® PPS Alloy compounds in amounts exceeding 1 ppm. Mercury, PCBs, PCTs, asbestos, processed mineral fibers, and radioactive substances are not intentionally introduced as additives in any Ryton® PPS compounds or Ryton® PPS Alloy compounds. Ryton® PPS compounds and Ryton® PPS Alloy compounds also do not utilize any low molecular weight CFCs, HCFCs, HFCs, HCs, or other suspected ozone-depleting substances as additives or in the manufacturing process. These substances may only be present as adventitious trace impurities in the products. All Ryton® PPS compounds and Ryton® PPS Alloy compounds are normally expected to contain less than 0.1% pentabromodiphenylether (penta-BDE) and octabromodiphenylether (octa-BDE). Neither of these substances are intentionally introduced as additives in any Ryton® PPS compounds or Ryton® PPS Alloy compounds, and these substances may only be present as adventitious trace impurities in the products. All Ryton® PPS and Ryton® PPS Alloy products are normally expected to contain less than 0.01% cadmium, and less than 0.1% lead, mercury, chromium, polybrominated biphenyls (PBBs), and polybrominated diphenyl ethers (PBDEs), per the requirements of 2011/65/EU and 2002/95/EC as amended. None of these substances are intentionally introduced as additives into any Ryton® PPS or Ryton® PPS Alloy products, and these substances may only be present as adventitious trace impurities in the products. All currently produced Ryton® PPS compounds and Ryton® PPS Alloy compounds comply with the requirements of Ford WSS-M99P9999-A1 revised 2005 03 08. All currently produced Ryton® PPS compounds and Ryton® PPS Alloy compounds comply with the requirements of General Motors GMW3059 Revision D.
Ryton® PPS compounds and Ryton® PPS Alloy compounds do not utilize additives containing halogenated aromatic compounds such as hexachlorobenzene, pentachlorophenol (PCP), polybromobiphenyls (PBBs), polybromobiphenylethers (PBBEs), polybromobiphenyloxides (PBBOs), polybromodiphenylethers (PBDEs), polybromodiphenyloxides (PBDOs), polychlorobiphenyls (PCBs), polychloroterphenyls (PCTs), pentabromodiphenylether (penta-BDE), octabromodiphenylether (octa-BDE), decabromodiphenylether (deca-BDE), tetrabromobisphenol A, etc. Ryton® PPS compounds and Ryton® PPS Alloy compounds may contain up to 100 ppm of chlorinated aromatic hydrocarbon impurities consisting of residual p-dichlorobenzene (polyphenylene sulfide co-monomer) along with trace amounts of various monochloro aromatic hydrocarbons that arise as by-products of the polyphenylene sulfide (PPS)polymerization process. Listed below are the halogenated hydrocarbon substances normally expected to be present in currently produced Ryton® PPS compounds and Ryton® PPS Alloy compounds in amounts exceeding 1 ppm. Polyvinylchloride (PVC) is not utilized in Ryton® PPS compounds or Ryton®PPS Alloy compounds. Ryton® PPS compounds and Ryton® PPS Alloy compounds may contain up to 100 ppm of chlorinated aromatic hydrocarbons consisting of residual p-dichlorobenzene (polyphenylene sulfide co-monomer) along with trace amounts of various monochloro aromatic hydrocarbons that arise as by-products of the polyphenylene sulfide (PPS) polymerization process. Ryton® BR42B and BR42C PPS compounds contain polytetrafluoroethylene (PTFE). Ryton® XE5515BL and XE5315BL PPS Alloy compounds contain a fluoropolymer additive. Listed below are metals normally expected to be present in Ryton® PPS compounds and Ryton® PPS Alloy compounds in amounts exceeding 1 ppm. 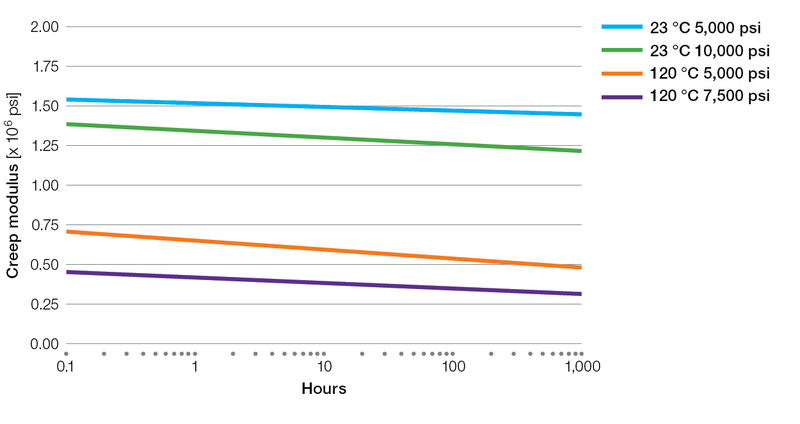 Other metals, including cadmium (Cd) and mercury (Hg), may only be present in Ryton® PPS compounds and Ryton®PPS Alloy compounds as adventitious trace impurities (not intentionally added to the products) in amounts not normally expected to exceed 1 ppm. Ryton® PPS compounds and Ryton® PPS Alloy compounds utilize polymers, fillers and additives that include substances containing aluminum (Al), calcium (Ca), iron (Fe), magnesium (Mg), potassium (K), sodium (Na), titanium (Ti), and zinc (Zn). Ryton® PPS compounds and Ryton® PPS Alloy compounds may contain up to 10 ppm of chromium (Cr) and up to 10 ppm of nickel (Ni) arising from corrosion of production equipment during the manufacturing process. These are adventitious trace impurities not intentionally added to the products. It has not been determined what fraction of the chromium is hexavalent chromium (Cr VI). Glass fiber reinforced Ryton® PPS compounds and Ryton® PPS Alloy compounds may contain up to 20 ppm of lead (Pb) arising from adventitious lead oxide impurities incorporated in the glass (not lead metal). This is an adventitious trace impurity not intentionally added to the products. Ryton® PPS compounds and Ryton® PPS Alloy compounds do not utilize any suspected ozone-depleting substances, such as low molecular weight CFCs, CHCs, HCFCs, HFCs, freons, halons, perfluorocarbons (PFCs), etc., as additives or in the manufacturing process. This includes the substances mentioned in the Montreal Protocol on Substances that Deplete the Ozone Layer and the EC Regulation 2037/2000. Ryton® PPS compounds and Ryton® PPS Alloy compounds do not utilize any perfluorooctane sulfonate (PFOS) or perfluorooctonate (PFOA) additives. Ryton® PPS compounds and Ryton® PPS Alloy compounds do not utilize any inorganic phosphorus flame retardant additives such as red phosphorus. Ryton® PPS compounds and Ryton® PPS Alloy compounds do not utilize any phthalate ester additives such as butyl benzyl phthalate (BBP), dibutylphthalate (DBT), diethylphthalate, diethylhexylphthalate (DEHP), diisodecylphthalate (DIDP), diisononylphthalate (DINP), dimethylphthalate (DMP), dioctylphthalate (DNOP), etc. Ryton® PPS compounds and Ryton® PPS Alloy compounds do not utilize any intentionally added polycyclic aromatic hydrocarbon additives. The carbon black pigment used in black color Ryton® PPS compounds and Ryton® PPS Alloy compounds may contain trace amounts of polycyclic aromatic hydrocarbons. However, extractable polycyclic aromatic hydrocarbons, such as those mentioned in EC Directive 2005/69/EC, are not normally expected to be present in Ryton® PPS compounds or Ryton® PPS Alloy compounds at concentrations exceeding 10 ppm. Ryton® PPS compounds and Ryton® PPS Alloy compounds do not utilize any processed mineral fibers or vitreous ceramic fibers having a mean fiber diameter of less than 5 microns. Ryton® PPS compounds and Ryton® PPS Alloy compounds do not utilize any radioactive substances as additives or in the manufacturing process. The substances on the SVHC (Substance of Very High Concern) candidate list for REACH (Registration Evaluation and Authorization of Chemicals, EC 1907/2006), as published by the European Chemicals Agency (ECHA), are not normally expected to be present in Ryton®PPS products or Ryton® PPS Alloy products at concentrations exceeding 1000 ppm. In the production of polyphenylene sulfide (PPS), 1-Methyl-2-pyrrolidinone (NMP), CAS # 872-50-4, is used as a polymerization solvent. However, the amount of residual NMP that may remain as an impurity in Ryton® PPS products and Ryton® PPS Alloy products is less than 1000 ppm (0.1 weight percent). None of the other substances on the REACH SVHC candidate list are intentionally used in the production of Ryton® PPS products or Ryton® PPS Alloy products and they may only be present as adventitious trace impurities in the products. Solvay is committed to fulfill REACH obligations for all our products and their applications according to the REACH timeline. Machining parts from rods, sheets or hollow forms provides an alternative to injection molding for producing heavy walled parts (not possible by injection molding), or to avoid mold construction costs for smaller production quantities or prototyping. Ryton® PPS injection molding compounds are generally not suitable for compression molding, therefore for compression molding, processors typically purchase raw PPS polymers and blend them with their own combinations of fillers and other additives, formulating compounds that are different from our injection molding compounds. 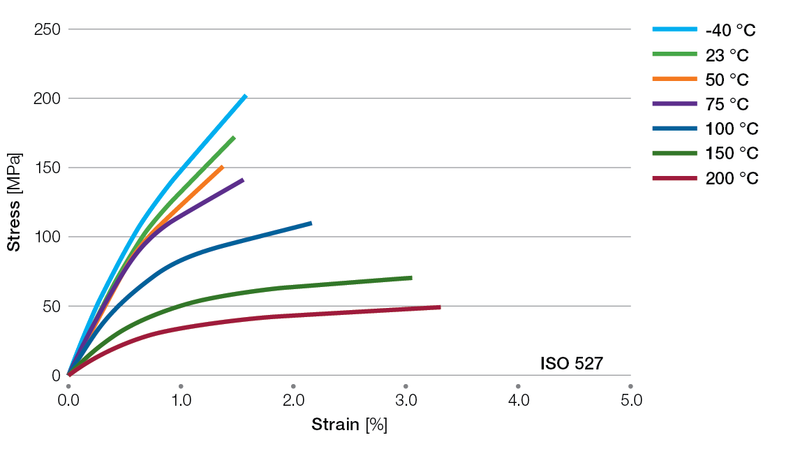 In the compression molding process the PPS compound is subjected to an entirely different heat and stress history than is encountered in the molding of articles from injection molding compounds, and the frictional heat of machining operations can also cause development of localized stresses. Being a semi-crystalline thermoplastic, PPS is notch sensitive, so surface defects from machining operations may act as crack propagators and compromise the mechanical strength of a part. The machined surface, with fillers and reinforcements exposed, is more prone to abrasion and more susceptible to fluid penetration than a "resin rich" molded surface. Unlike injection molded parts, the mechanical properties of compression molded PPS stock materials are generally more isotropic due to a more random filler distribution and/or glass fiber alignment. The mechanical strength of compression molded PPS stock materials will typically be no more than 50% to 80% of the strength of Ryton® PPS injection molding compounds with similar filler systems, and the effects of machining can dramatically reduce part strength even further. Compressive properties, dimensional stability, thermal stability and chemical resistance of compression molded PPS stock materials should generally be similar to Ryton® PPS injection molding compounds with similar filler systems. The exposed fillers and reinforcements on a machined surface, however, make the part more prone to fluid penetration, so chemical exposure may tend to cause more swelling and more rapid strength deterioration. The electrical properties of compression molded PPS stock materials should typically be about the same as Ryton® PPS injection molding compounds with similar filler systems. Bear in mind, however, that some Ryton® PPS injection molding compounds are specially formulated to enhance certain performance characteristics such as impact resistance, electrical properties and hydrolytic stability. Ryton® BR111 is a natural-colored glass fiber and mineral filled polyphenylene sulfide compound that provides enhanced mechanical strength with good electrical properties and outstanding chemical resistance, even at elevated temperatures. Ryton® R-4-220NA and R-4-220BL 40% glass fiber reinforced polyphenylene sulfide compounds provide enhanced mechanical strength after constant or repeated exposure to high temperature water. Ryton® R-4-232BL 40% glass fiber reinforced polyphenylene sulfide compound complies with United States Food and Drug Administration (FDA), NSF51, and European Union (EU 10/2011) regulations for use as a component of articles intended for repeat use in contact with all types of foods. It has also been approved for drinking water systems by NSF61, KTW and ACS. Ryton® R-4-232NA 40% glass fiber reinforced polyphenylene sulfide compound complies with United States Food and Drug Administration (FDA) and European Union (EU 10/2011 and 1183/2012) regulations for use as a component of articles intended for repeat use in contact with all types of foods. Ryton® R-4-240NA and R-4-240BL 40% glass fiber reinforced polyphenylene sulfide compounds provide enhanced mechanical strength and toughness compared to other polyphenylene sulfide compounds. Ryton® R-4-270BL 40% glass fiber reinforced polyphenylene sulfide compound provides enhanced mechanical strength after constant or repeated exposure to high temperature water. Ryton® R-4-270NA 40% glass fiber reinforced polyphenylene sulfide compound provides enhanced mechanical strength after constant or repeated exposure to high temperature water. Ryton® R-4XT and R-4-02XT 40% glass fiber reinforced polyphenylene sulfide compounds provide enhanced mechanical strength with good electrical properties and outstanding chemical resistance, even at elevated temperatures. Ryton® R-7-120NA and R-7-120BL glass fiber and mineral filled polyphenylene sulfide compounds provide good strength and low maintenance molding using conventional molding equipment. Ryton® R-7-121NA and R-7-121BL glass fiber and mineral filled polyphenylene sulfide compounds provide good mechanical strength with Good Flow and low maintenance molding using conventional molding equipment. Ryton® R-7-220BL glass fiber and mineral filled polyphenylene sulfide compound provides enhanced mechanical strength after constant or repeated exposure to high temperature water. Ryton® XK2340 40% glass fiber reinforced polyphenylene sulfide alloy compound provides excellent mechanical strength, toughness, and rigidity, along with excellent flow in thin-walled parts, low flash characteristics, and fast cycle times. It may be easily molded in conventional injection molding equipment utilizing water heated molds.